Before purchasing a ticket for travel with Azerbaijan Airlines (Azerbaijan Airlines flag carrier), please familiarize yourself with the following rules of the airline. For international flights, in addition to the ticket, you must have a valid passport and comply with the visa, customs and health regulations of the transit countries and the country of final destination. Failure to follow these rules may result in the denial of transportation. Information for passengers Travelling to Republic of Turkey. According to the rules of entry into the Republic of Turkey, the validity of Azerbaijani citizens passport (including children and infants) must be at least 90 days from the date of entry into the country. In case of availability of a visa to stay in Turkey, the passport must be valid for 60 days after the expiry date of the visa. The ticket is valid for carriage of a passenger from point of origin to point of destination on route with the date and flight number on which a seat booked in the class of service and the time specified in the ticket. The tickets purchased under the normal fares are valid for carriage of a passenger and his/her baggage for one year from the date of initial departure. The tickets purchased at special fares are valid for a period from the date of your ticket issuance as defined in "not valid after" column. It is possible to extend the validity of such ticket for an additional fee. Tickets are valid for transport only if the sequence of flight coupons is observed. If flight coupons are not used in the right sequence, the ticket becomes invalid. We recommend that you reserve and buy tickets in advance from offices of the Azerbaijan Airlines flag carrier or its agents around the world. After competition of reservation, you will be provided with printed information specifying the deadline when you need to purchase the ticket. 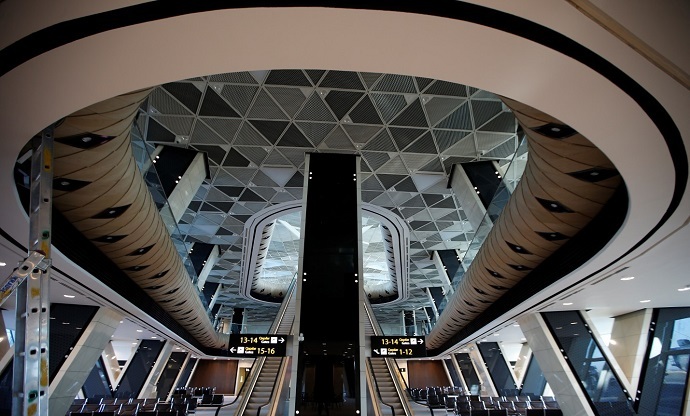 If you do not purchase the ticket during the stated period of time, the reservation will be automatically canceled by the automatic reservations system and it can cause inconvenience in your planned journey. In case you notice a mistake in your air ticket the air ticket can be cancelled by Airline only within 3 (three) hours from the time of air ticket issuance but at least 3 hours prior to flight departure according to the schedule. To do this, please contact the place of purchase of the ticket. Check-in for Azerbaijan Airlines flights begins 24 hours prior to departure at the Heydar Aliyev International Airport; at the other airports, generally, 2 hours before scheduled departure time. Check-in at Milan Malpensa Airport, John F. Kennedy International Airport, Tbilisi International Airport, Tel Aviv Ben Gurion International Airport, Dubai International Airport, Tehran Imam Khomeini International Airport begins 3 hours prior to departure. Check-in usually closes 60 minutes before departure. You can also use our optional online check-in service and get your electronic boarding pass. For more details, click here. Please be available for boarding at the boarding gate 20 minutes before your flight to avoid missing your flight. In order to avoid cases of fraud related to the credit cards, we kindly ask you to provide the origin of the credit card if requested by the conforming employees of the airline realizing registration (or official representatives of the airline) to check the necessary data. In order to rebook or refund previously online purchased air ticket through the airline's official website www.azal.az it is required to contact the airline directly via the following contacts: +99412-598-88-80 or callcenter@azal.az.